Automatic stair climbing wheelchair is designed for individuals having limited lower extremity mobility conditions associated with spinal cord injuries, stroke, traumatic brain injury or multiple sclerosis. This wheelchairs allow the user to move in a variety of positions such as reclining, standing, being lowered to the ground, and being elevated. Stair climbing wheelchair are categorized into continuous, intermittent, and auxillary. Electric-powered wheelchair with stair-climbing ability is major requirement for many of the patients and elderly people suffering from walking dysfunction. Increasing initiatives by the major players to develop innovative products is expected to fuel automatic stair climbing wheelchair market growth. For instance, in 2017, a team in Zurich introduced the Scewo. Scewo is self-balancing stair climbing wheelchair that can go up and down stairs independently and smoothly and provides features useful for navigating over obstacles. By using multiple rubber tracks, it can provide smooth and safe ride on the stairs. Furthermore, in 2015, a team in Zurich launched the Scalevo, the original prototype consist of two big wheels with a Segway-styled balancing system to navigate flat ground. However, high cost of the automatic stair climbing wheelchairs is expected to hamper the market growth. For instance, in 2003, the subsidiary firm by Johnson Company in USA developed IBOT, a stair climbing wheelchair. The price of IBOT was so high that most of people could not afford it and it was discontinued in 2009. On the basis of region, the global automatic stair climbing wheelchair market is segmented into North America, Latin America, Europe, Asia Pacific, Middle East, and Africa. Geographically, North America region is expected to hold the largest market share for automatic stair climbing wheelchair market, owing to rising number of people with disabilities in the US. For instance, in 2016, American Community Survey (ACS), estimated that rate of people with disabilities in the U.S. population was 12.8%. The percentage of people with a disability has increased from 11.9% in 2010, to 12.8% in 2016. Moreover, Asia Pacific is anticipated to witness significant growth in automatic stair climbing wheelchair market attributed to presence of major players in this region. For instance, in May 2016, Toyota, the automobile company, joined Kamen's company DEKA, to support mobility solutions for the disabled community. This agreement was made to develop and launch the next generation of the IBOT. The IBOT motorized wheelchair was launched back in 2001, by Segway inventor Dean Kamen. However, the price of IBOT was US$ 25,000 which was too expensive for the mainstream market resulting into discontinuation of device in 2009. 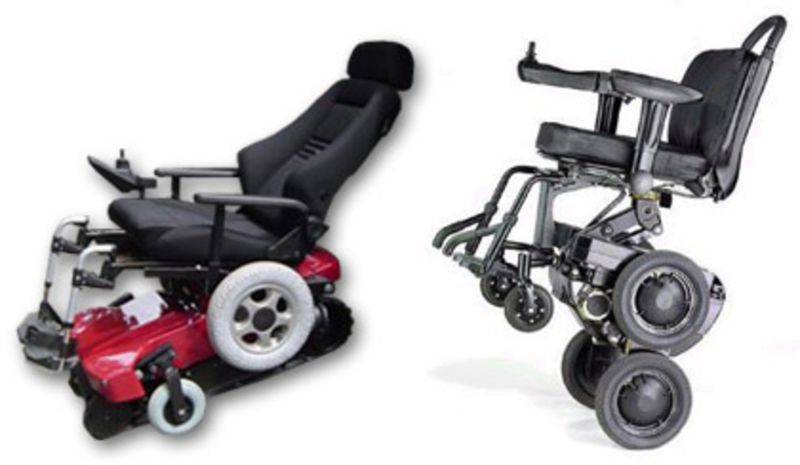 Key players for automatic stair climbing wheelchair market include TopChair, B-Free Technology Limited, Toyota, designboom, Vin Grace Solutions (P) Ltd., and Johnson and Johnson.